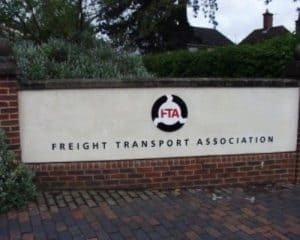 The Freight Transport Association (FTA) has welcomed an announcement from the Department for Transport, which highlights an additional £1.2 billion in funding for transport network upgrades and maintenance across England and Wales. Additional funds will be made available to councils to improve the condition of roads in their area, with a special provision for tackling the ongoing issue of potholes in many parts of the country. Making the announcement, transport minister Andrew Jones said: "The funding we have allocated today is focused on relieving congestion and providing important upgrades to ensure our roads are fit for the future." The extra money will be made available during the 2017/18 financial year and the FTA has congratulated the government department on the move. According to the organisation, potholes in particular can be a costly and troublesome hazard for the nation's fleet managers, with the damage they can cause to vehicles costing in excess of £5,000 on average per year to repair. The body stated that "after years of a general decline in conditions, this [investment] is critical in ensuring that logistics and supply chain businesses can continue to trade as cost effectively as possible". Natalie Brinkley, brand manager at Fuel Card Services, adds: "Providing additional funds to ensure an improved state of repair for roads up and down the country will not only benefit the nation's fleet operators, but all motorists in the years ahead."